"Our small family farm grows vegetables, fruits, and flowers. We grow without the use of synthetic fertilizers or pesticides." "We grow a diverse variety of cut flowers using natural methods on 1 acre in Northern Maryland for our wedding design, farmer's markets, CSA and florists." "Our farm has been growing flowers on 20 acres for 35 years. Retail, wholesale, special events, we can handle it." "We are a small family farm in the mountains of Fredrick. We love working with DIY types and offer a monthly flower CSA." 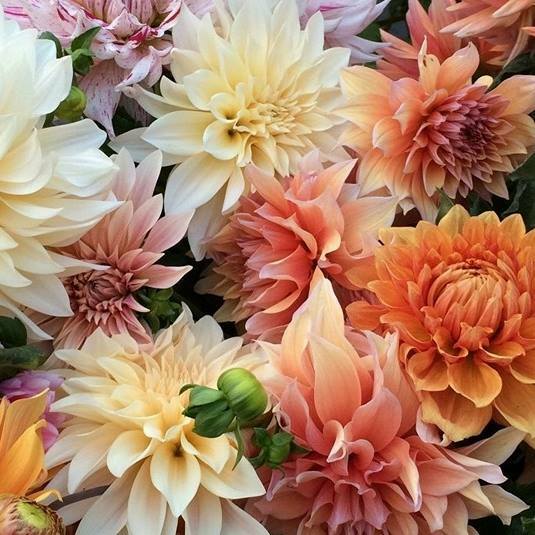 "On our small family farm we sustainably grow show-stopping dahlias for flower designers and the DIYers." 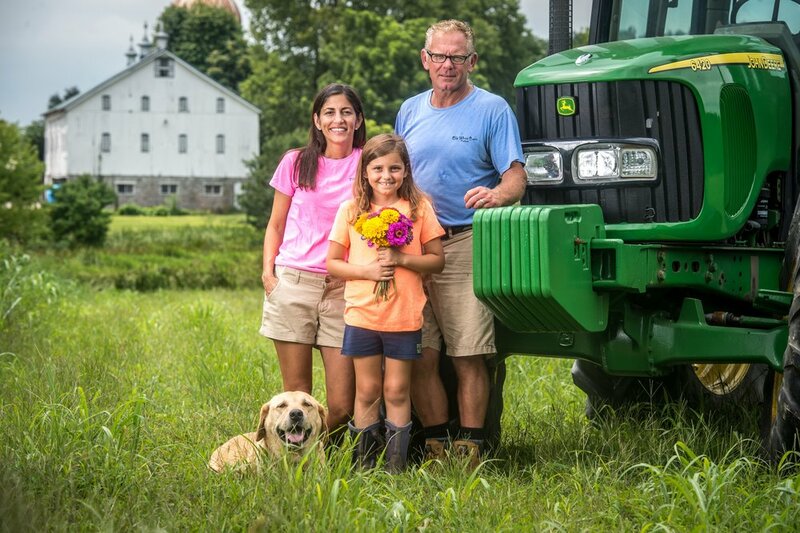 "We are a family farm located 38 miles outside of Washington, DC in Frederick, Maryland. We grow beautiful, high quality cut flowers." "We are a new cut flower farm in Walkersville, MD growing fun, colorful flowers for the local market that will be sure to brighten your day!" "Locally grown cut flowers & bouquets for diy weddings, florists and Carroll County farmer's market. Ag center." "We grow native trees, shrubs and cut flowers for nurseries, government agencies, non-profits, landscape contractors, garden centers, and local florists." "200 acre historic farm in Frederick, MD. We grow vegetables (#CSA) & specialty cut flowers. Wholesale, Florists & DIY weddings."